Picasso Pablo (dit), Ruiz Picasso Pablo (1881-1973). Paris, musée de l'Orangerie. RF1963-78. Picasso Pablo (dit), Ruiz Picasso Pablo (1881-1973). Paris, musée national Picasso - Paris. MP3695. Picasso Pablo (dit), Ruiz Picasso Pablo (1881-1973). Paris, musée national Picasso - Paris. MP3745. Picasso Pablo (dit), Ruiz Picasso Pablo (1881-1973). Paris, musée national Picasso - Paris. MP299. Picasso Pablo (dit), Ruiz Picasso Pablo (1881-1973). Paris, musée national Picasso - Paris. MP1983-44. The Picasso Metamorfosi (Picasso Metamorphosis) exhibition has been organized from October 18th, 2018 to February 17th, 2019 at the Palazzo Reale in Milan. It is devoted to the complex and productive relationship that, Pablo Picasso the Spanish artist advanced through his phenomenal life. 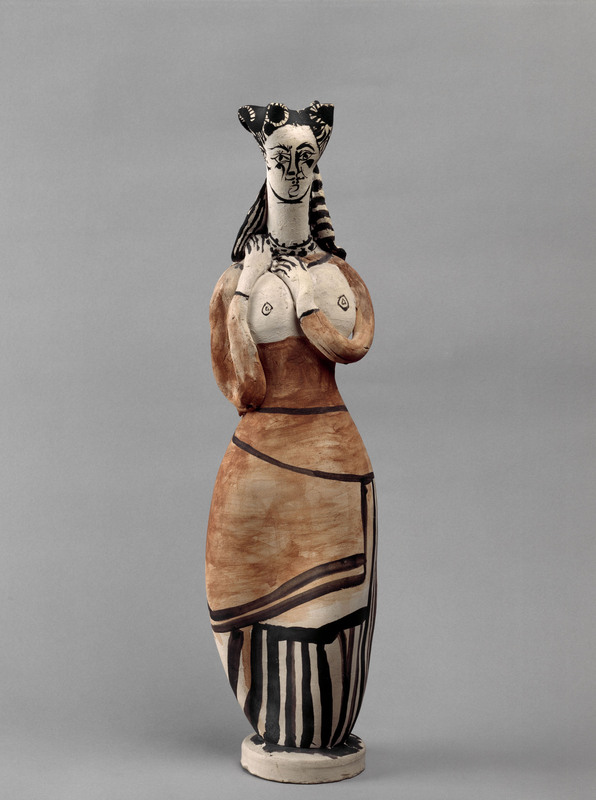 This is especially with Picasso’s relationship with myth and antiquity which was a constant in his life. The project showcases two hundred works including works by Picasso and ancient works of art. The exhibition is a combination of the artist’s work and that of ancient art such as ceramics, vases, reliefs and statues and offers to infiltrate the cherished workshop of a world-renowned artist and his inspirations. 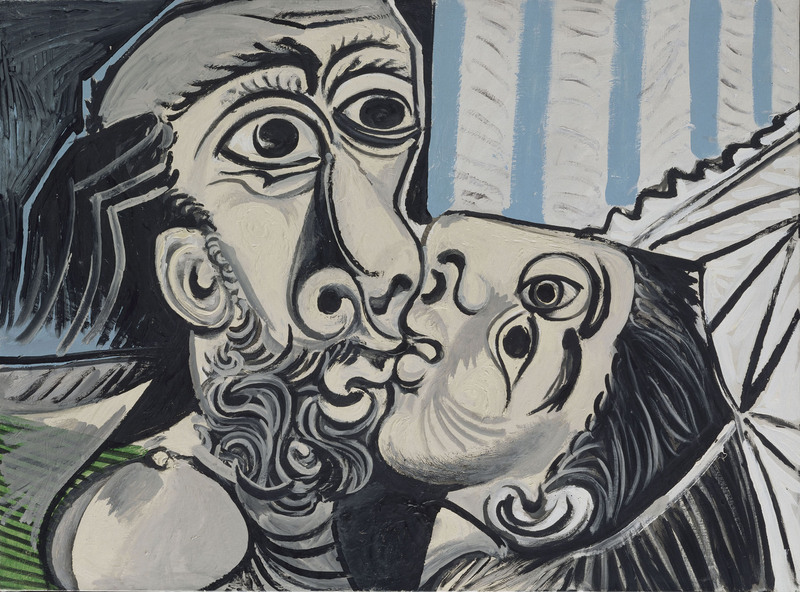 Picasso was a creative genius who worked unswervingly from his subconscious. in the Sala delle Cariatidi and half a century later in September 2001 Palazzo Reale presented a striking retrospective exhibition prepared in alliance with the artist’s successors. With Picasso Metamorfosi, the attention moves to relics in its various artistic forms and this is elucidated in the six sections of the exhibition through the combination of works by Picasso and the antique artifacts. With the origination of Les Demoiselles d’Avignon (1907), the painting known to be the declaration of a new aesthetics, Picasso produced a fundamental break in the traditional ways of academic artistic practice. This upheaval however was deep-seated in the artist’s classical training, from which Picasso drew the epitomes of history of art and sourced forms that could channel the contemporary changes of artistic codes. Before Picasso, Ingres and Rodin had already paved the way in this direction. The introductory section of the exhibition compares the work of these three artists on the grounds of the same subject, the kiss, by comparing a number of paintings by Picasso with two exemplary works by Rodin and Ingres: The Kiss and Paolo and Francesca, respectively. Picasso’s creative investigation continuously denoted the many eccentric creatures’ part of the mythical range. One repetitive presence in his work are hybrid figures, creatures torn between their human and animal nature, between good and evil, life and death. In his works, we often find male and female Fauns, such as in the pen and ink drawing Faun, Horse and Bird (1936) and Faun (1937). Minotaurs and centaurs are often present too. The character of Ariadne, a symbol of beauty and revival at the intersections of unfaithfulness and romantic bliss, suggests the idea of a perpetual and cyclic rebirth. 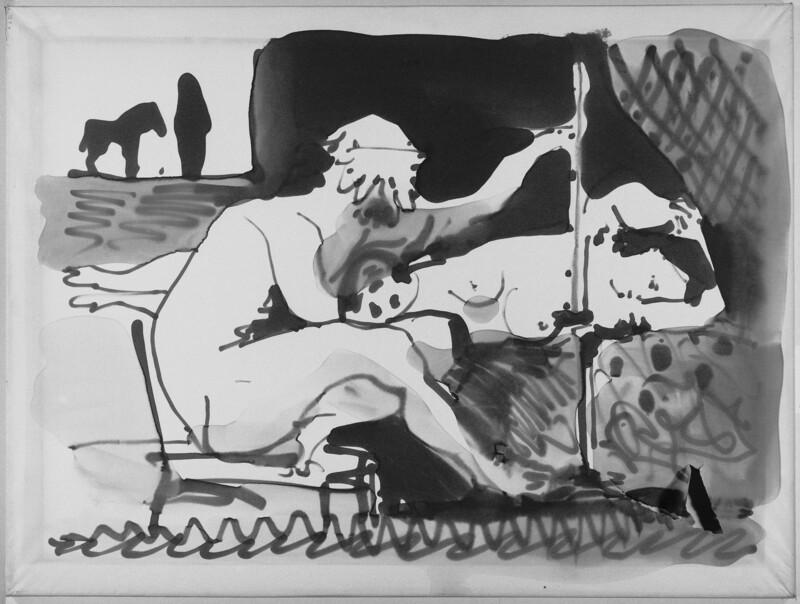 In Picasso’s composition, we often encounter sleeping odalisques that resonate the famous sleeping Ariadne of the Vatican Museums. 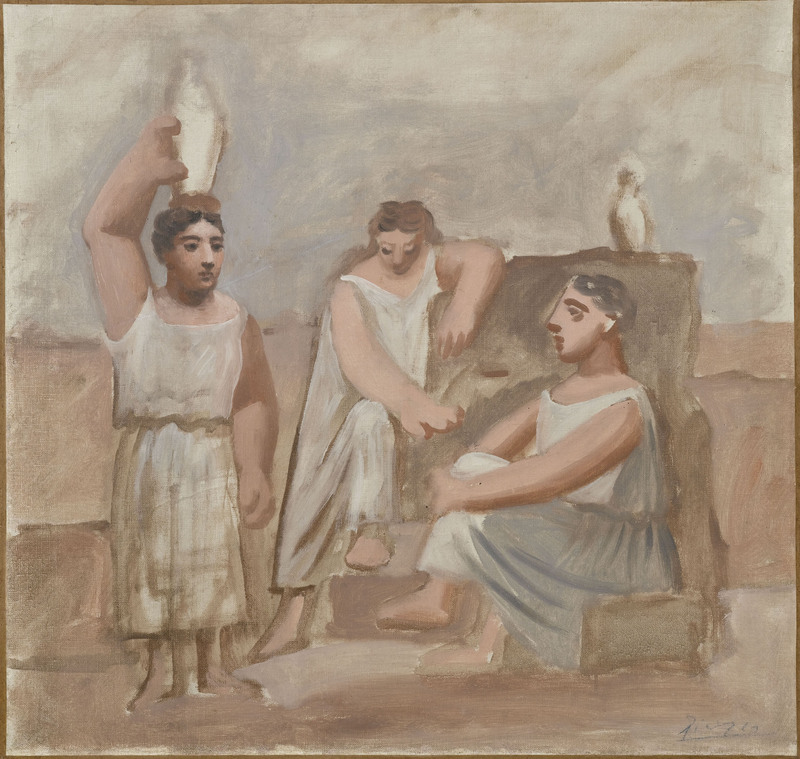 It was around this personality that Picasso developed a number of subjects he was particularly fond of: The Minotaur, the arena, war, passion, and figurations of the unremitting inebriety of life epitomized by Bacchic processions. Picasso’s imaginative flair developed during his teenage years when he became familiar with academic art practice. The classic creativeness alleviated the powerful Cubist experience. La Source (1921) is inspired by an embodiment of the River Nile, and this possibility of exploration lead him to the 1921 Three Women at the Spring. Picasso regularly visited the Louvre from 1901 and continued to do so even after World War II. There he discovered archaic art and the geometric style of Greek vase decoration. Due to its exceedingly stylised figuration, Greek embellishment imprisoned his attention. 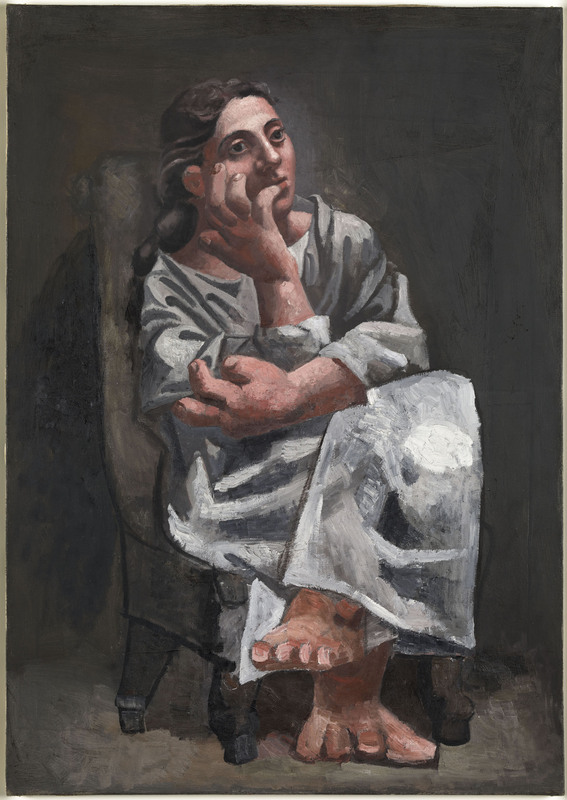 Another source of inspiration for Picasso was also his personal collection of over ninety pieces of Iberian votive figures some of which are displayed in the exhibition. 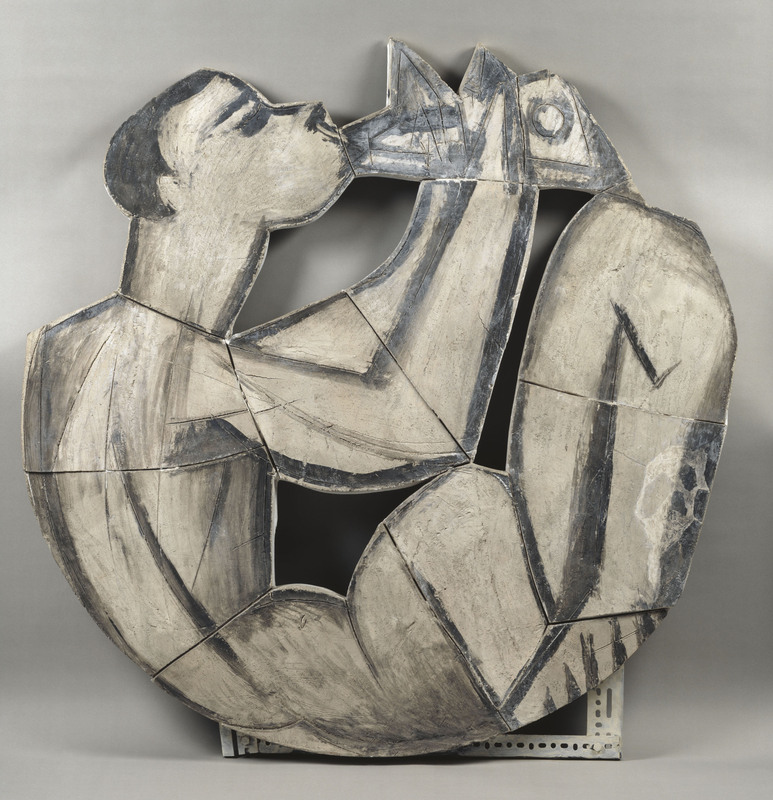 The sixth and last section of the exhibition is dedicated to ceramics, Picasso discovered this technique in the post-war period. By investigating the artistic possibilities of painted terracotta, he raised the object from that of functional use to an art piece. He achieved outstanding results in his terracotta creations such as Fragment of a cooking pot decorated with a face (1950) and his beautiful ceramics including Three footed vase with face of a woman (1950) and Pitcher with a bull (1957). 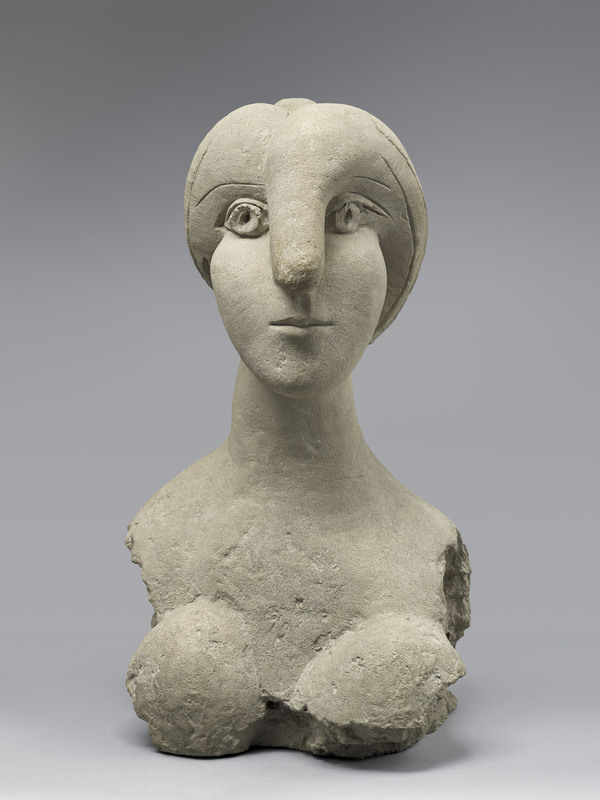 Going back and forth between exaggeration and naturalism, classicism and unembellished abstraction, Picasso drew, painted and sculpted form and meaning. Shambolic, detached, congealed or chaotic, Picasso was his own monster both minotaur and labyrinth. It is very easy to be engulfed by him and his work.